battenburgbelle.com » Who needs Glastonbury? 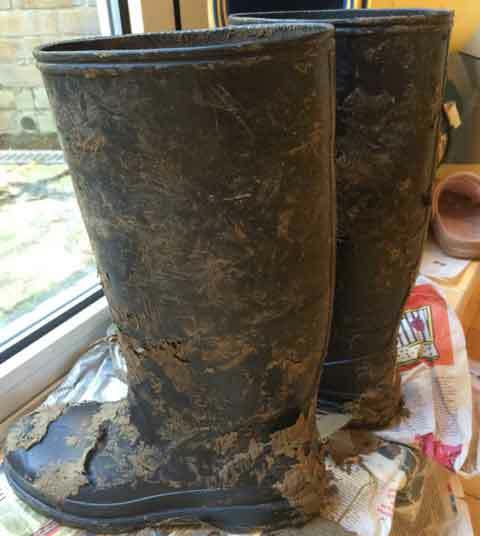 It’s been a while since there’s been a supper club at the Nunnery and so Jenny and I decided to do a supper with a twist for some friends who, like us, had no intention of going anywhere need the mud bath that is traditionally Glastonbury. It certainly delivered this year by all accounts. Well, there was some rain in north London, but we didn’t care (apart from anything else we were too busy being in shock about the damn EU referendum to pay much attention to the weather – but that’s a whole other subject and probably not one for a food blog. Suffice to say, I think Missy B heard me swear more last weekend than in her whole previous 16 and a half years). Anyway, we decided to go for a festie vibe, festooned the place with borrowed bunting (thank you Emma), dusted off the camping flagpoles and invited the wonderful Mr McGirr to see to the music side of things, which he did beautifully. There were even some singalong opportunities – in aid of the Alzheimer’s Society. That really added to the Glasto-plus feel of the evening and gave us that warm glow you get from contributing to a great cause. I made vats of chilli, one meaty, one veggie and both rather delicious. We also made a bowl of guacamole and served up some sour cream and chives to soften the blow – those chillies were pretty potent. As I so often do, I turned to Felicity Cloake to see how she would make chilli – I was dubious about the addition of coffee – but I should have known, you can always trust Felicity. Give her perfect chilli con carne a try. The veggie chilli was another great Dennis Cotter recipe that had been on my list to try for a while. 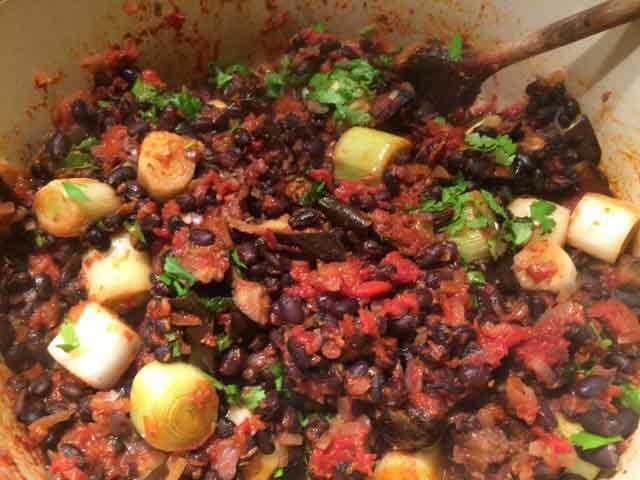 It features black turtle beans, aubergines, leeks and, obviously, plenty of chillies. 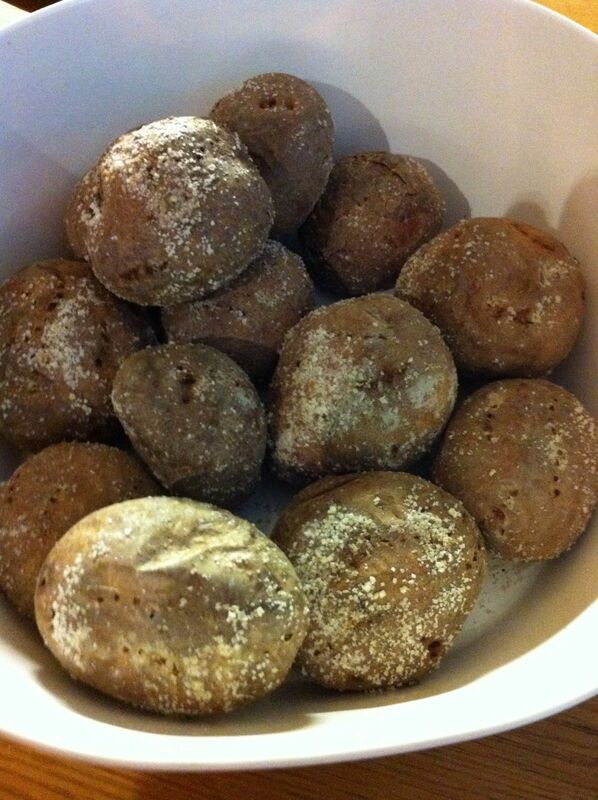 I also used Felicity’s recipe for perfect jacket potatoes – prick them a few times with a fork, make them damp, roll them in a rather large amount of salt (much of which will fall off onto the bottom of your oven) and bake at a high temperature for around an hour, depending on their size. Jenny and her fiancé (!! ), the charming Mr R, brought this lovely dish of Frijol de Novios (Sweetheart Beans) and a wonderful dish of Mexican creamed corn (I must confess to eating a LOT of that for my breakfast). 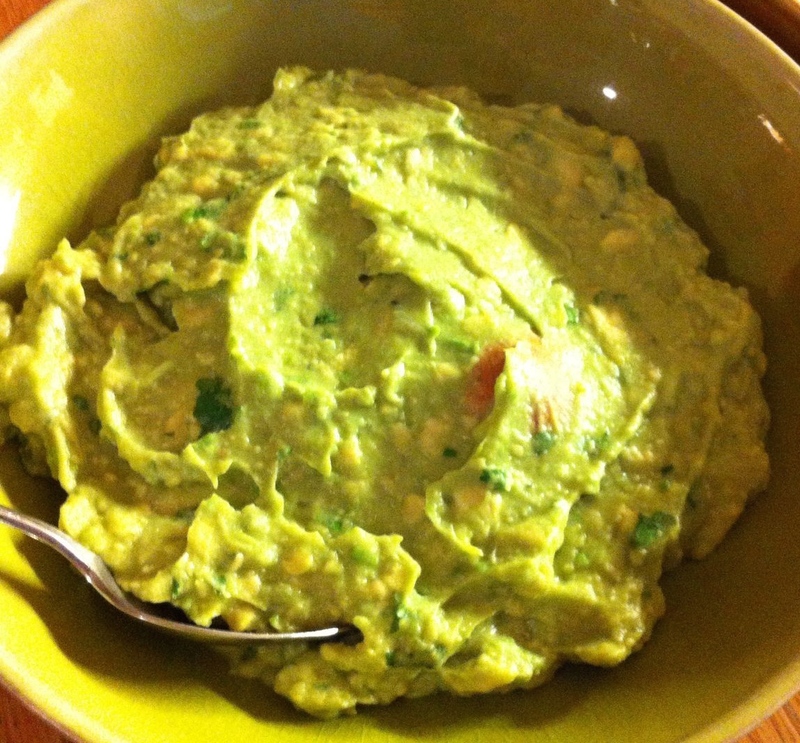 Peel, stone and roughly chop the avocados and place in a large bowl. Add the chilli, lime juice, coriander, garlic and a little salt. Mash gently, leaving some chunks of avocado. I tend to make my avocado sides with those very ingredients, albeit added to taste each time (lovely with some spicy scrambled eggs) -never thought to call it a guacamole! Lime and avocado are a sublime pairing, no? 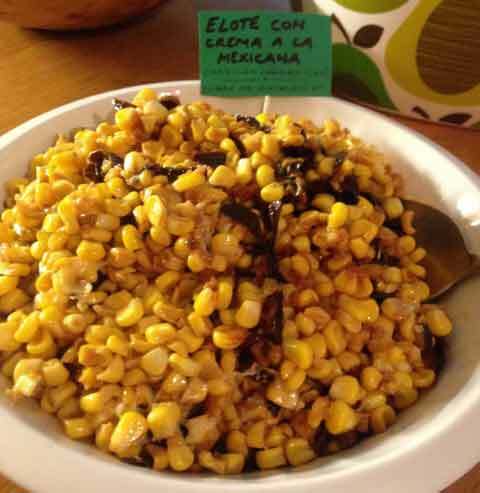 That creamed corn sounds good -but the vegetarian chilli even more so. The recipe for that would be wonderful. And OH YES to Felicity’s potatoes (well executed by yourself, I note) Salt-baking potatoes until properly jackety is well worth the time it takes. This whole supper sounded delightful -a joy to read. Ah thank you for your lovely comments – I will post the vegetarian chilli recipe in the next week or so!